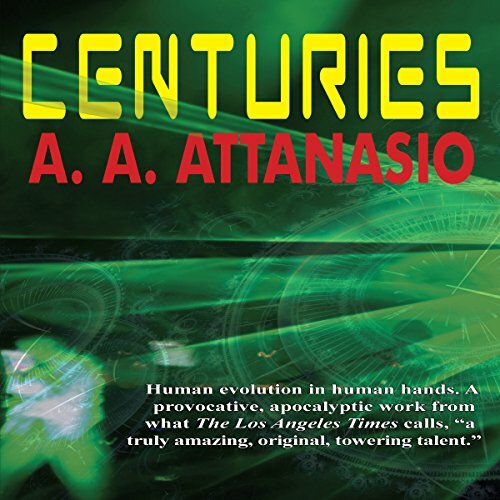 Another mind-bending science fiction epic from a true visionary, Centuries explores a barely recognizable future where humans control their own evolution. Genetic manipulation and artificial intelligence shape an astounding destiny for our species. With these wondrous changes come unexpected new truths of heart and mind that challenge the very definition of human - and that threatens not only our existence, but the universe itself as our surprising powers - both miraculous and monstrous - evolve through the centuries. What was one of the most memorable moments of Centuries? I found it to be such an enjoyable ride that I was truly wary of how the story would wrap up. But the ending was well conceived and I was completely satisfied in the end. What didn’t you like about David Gilmore’s performance? On the plus side, you could keep the characters straight, and knew who he was at any given time. On the minus side, everybody sounded like they were whining a lot of the time. I just didn't find his performance appealing. Beware your actions. They always have unintended results.